Yet another reading month has come and gone and here we are - a quarter of the way through the year already. March is quite a long month so I've managed eight books this month and yet again it's a pretty electic selection. In his new book, Colin Thubron travels to Tibet, and takes the pilgrimage route to Kailas, the most sacred of the world's mountains, holy to one fifth of the earth's people, but rarely visited by westerners. Buddhists and Hindus have ritually circled the mountain for centuries, but its steepest slopes are sacrosanct and no one has ever climbed to the summit. Thubron made the expedition shortly after his mother's death, and his hike through a challenging terrain of rocks, lakes and remote monasteries is perhaps one of his most personal and poetic books to date. Perhaps this isn't one of the author's best books, I don't know, but I never really felt completely involved in the story of his journey. Bits were interesting and informative but a lot of it felt repetitive and I struggled to finish it to be honest. 16. Insufficiently Welsh - Griff Rhys-Jones. The author is a very well known comedian and presenter of TV documentaries in Britain and *on* Britain. He was born in Cardiff but brought up in Essex and all his life has wondered if the Welsh people consider him to be 'insufficiently Welsh' to have a claim to his own nationality. Griff embarks on a journey around the various regions of Wales to see if this is so. Not only is the book a delightful travelogue for anyone wanting an introduction to Wales but the author's writing style is very readable and self-deprecating enough to be quite funny. Enjoyable but not one for the Welsh expert I suspect. I said eclectic at the start of this post but there's a definite thread running through most of these books and that's cold weather, winter, mountains. No less than six have that connection and even the two that don't, Insufficiently Welsh and Tooth and Claw, have mountains somewhere in the book. I won't say it happened by accident because it didn't. 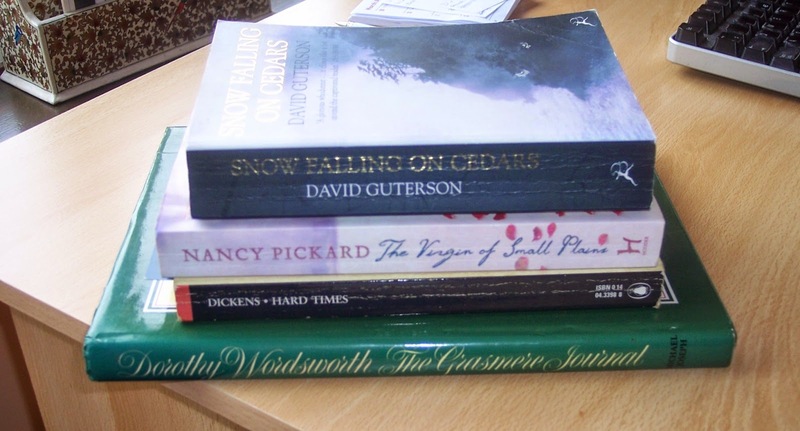 I'm reading a lot about mountains at the moment and also enjoying books with a winter setting. Sometimes you just want to go with a theme and I find it's best to indulge yourself while it lasts. Yet again I've read three non-fiction books this month. One was a bit average, one was good and one - Clear Waters Rising - was very good. So that's eight non-fiction books read so far this year. Very happy with that. 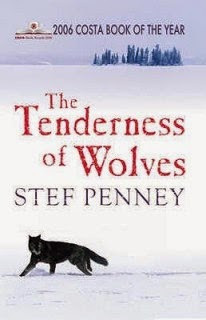 The Tenderness of Wolves by Stef Penney. No contest really... well there was... 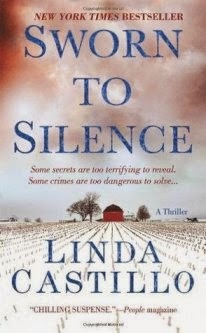 I really enjoyed Sworn to Silence by Linda Castillo, Tooth and Claw by Jo Walton and Tess Gerritsen's 8th Rizzoli and Isles book, The Killing Place. But The Tenderness of Wolves had something extra: it was just brilliant and a worthy winner of my book of the month. Time to do brief reviews of what will probably be my last two completed books for this month - a fiction and a non-fiction. First up, Tooth and Claw by Jo Walton. Bon Agornin, the patriarch of a family of dragons, is dying and the family have gathered around his death-bed. The eldest son, Penn, a priest, hears his father's confession alone and against his better instincts, as confession is banned. He's shocked at what he hears. The old dragon dies. Tradition has it that the family get to eat the body as it brings nourishment and growth. Bon has let it be known that he wants his younger children to have the lion's share as they still have to make their way in the world. It's not in writing however and what happens is that his eldest daughter's husband, Daverak, decides to eat most of it, encouraging his own family to eat their fill as well. The rest of Bon's offspring are outraged but can do nothing. The two younger girls now have no home and to their despair are split up. Haner goes to live with her older sister and husband, Daverak, Selendra with Penn and his family. The only other offspring is Avan who lives in the city. He decides to sue Davarak after his outrageous behaviour but this will harm his sisters who are powerless now and have to conform in the households to which they're attached. There's no doubt that the lives of the two sisters have changed forever and they must both make the best of a bad situation. What a curious world Jo Walton has created. I definitely think this will win the prize for the most 'different' book I've read come the end of the year. It's a world very similar in manners and customs to our Regency or Victorian period and it does read like a novel from Jane Austen or Anthony Trollope. Except of course that the characters are all dragons. And here's the thing: you forget that. They talk and behave like humans so you forget they're dragons... until a servant is eaten for making a mistake, or the runt of a litter is taken away and made a meal of, and you're brought up sharp and reminded that these are not humans. Very odd indeed. And it's a complicated world these dragons inhabit. Extremely hierarchical, hide-bound with traditions and rules, the women have very little power, servants have their wings bound... and hanging over all is the fear of being devoured alive by a stronger dragon who wants your job or because you're surplus to requirements or just plain 'weak'. It's all utterly fascinating and I loved it. Jo Walton is fast becoming one of my favourite authors. Tooth and Claw is my book eight for Bev's 2015 Mount TBR challenge and my first book for Carl's Once Upon a Tine IX. 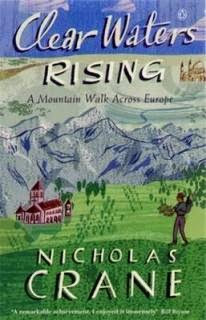 Lastly, Clear Waters Rising: A Mountain Walk Across Europe by Nicholas Crane. The author, Nicholas Crane, is a British TV presenter of documentary series such as the wonderful 'Coast', 'Town', 'Map Man' and 'Great British Journeys'. That's mainly been over the last 10 years... before that he was mostly a travel writer and explorer, travelling by bicycle and on foot around the world. Clear Waters Rising charts an epic 6,000 mile journey he undertook by foot across the mountains of Europe in the mid-1990s. Being a bit of a map person he apparently looked at the map of Europe one day and realised it was possible to walk the width of the continent by traversing only various mountain ranges. He started at Cape Finisterre, on the coast of Spain, and walked the length of that country along the Cantabrian range. Thence onto the Pyrenees which form Spain's border with France and from there to The Cévennes in France. Next, The Alps and through such countries as Switzerland, Italy, Germany and Austria. The Carpathian mountains followed, which I must admit I'd heard of but was not clear of their whereabouts. They actually go through such modern countries as Slovakia, Poland, Ukraine and Romania although the area abounds with ancient peoples who really don't feel part of the countries to which they've been asigned. Lastly, he traversed the Balkan range which took him through Romania and Bulgaria and into Turkey and thus to his final destination: Istanbul. I really enjoyed this travelogue. Nicholas Crane has a very engaging, self-deprecating writing style but also very nicely descriptive. Some of his adventures were amusing, some fascinating, some downright frightening... especially in the Balkans where he felt properly threatened for the first time on the whole trip. Mostly he came across kindness and friendliness and a willingness to talk. Hunters with dogs scared him rather. A weird, ghostly experience one night in The Alps also scared him. He did the walk not long after the Iron Curtain had come down and the situation in those countries was sometimes a bit hairy. He even decided not to go into Serbia as he was too worried for his own safety. But overall it seems he was amazed that he'd actually acheived his goal after 14 or 15 months of non-stop walking, and I have to stay I find it astonishing that he did. An excellent read and I'm pleased that I have another of his books on the TBR shelf: Two Degrees West, in which he walks the length of the UK along the Central Meridian. Clear Waters Rising is my book nine for Bev's 2015 Mount TBR challenge. Time for a meme I think. Haven't done one of these in ages. Snagged from a friend on Live Journal. 1. What was your favourite book during childhood? 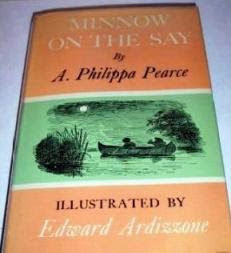 Minnow on the Say by Philippa Pearce. It's a gorgeous summer adventure about two boys looking for treasure on a river. I read it again in 2008 and my review is here. 2.What is your favourite book now? Again I do tend towards favourite authors so naming just one favourite book is very hard. 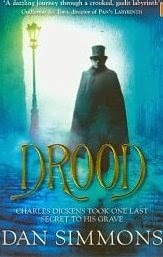 I shall name *one* of my favourite books and that is Drood by Dan Simmons. Opinions are sharply divided on this book and I had no idea which side I would come down on. Turns out I absolutely adored it. 3. What is your favourite movie adaptation of a book? How gorgeous is that? Truthfully... I would buy that book for that cover if I ever came across it. I do both with gay abandon. 5. Have you ever been let down by a book that was highly recommended to you? I suppose there must've been plenty of occasions but only one springs to mind and that was The Time Traveler's Wife by Audrey Niffenegger. I finished it and didn't hate it precisely. But I didn't love it like members of my family and just about every review I'd read, and that was really because I didn't give a monkey's about Henry and whatever her name was. Just didn't care. Ah well, life would be boring if we all liked the same books. Spring is almost upon us so it's that time of year again. Carl's Once Upon A Time IX reading challenge starts officially tomorrow, the 21st. March. 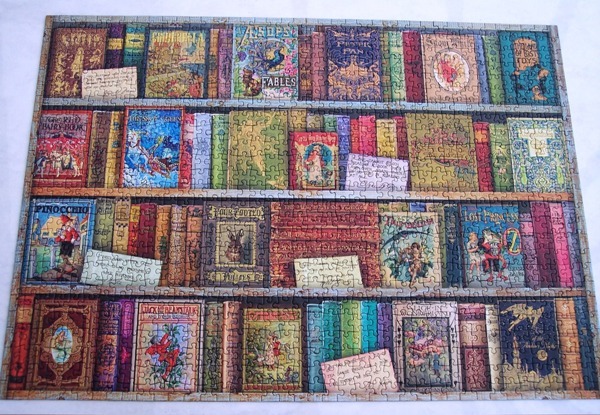 This one of those challenges that I do every year without fail... it would not occur to me not to do it to be honest as it's always good fun and fantasy books are one of my favourite genres. This year is its 9th. year... time flies when you're having fun. I also have a couple of library books for the challenge: The Goblin Emperor by Katherine Addison and Blackbringer by Laini Taylor. 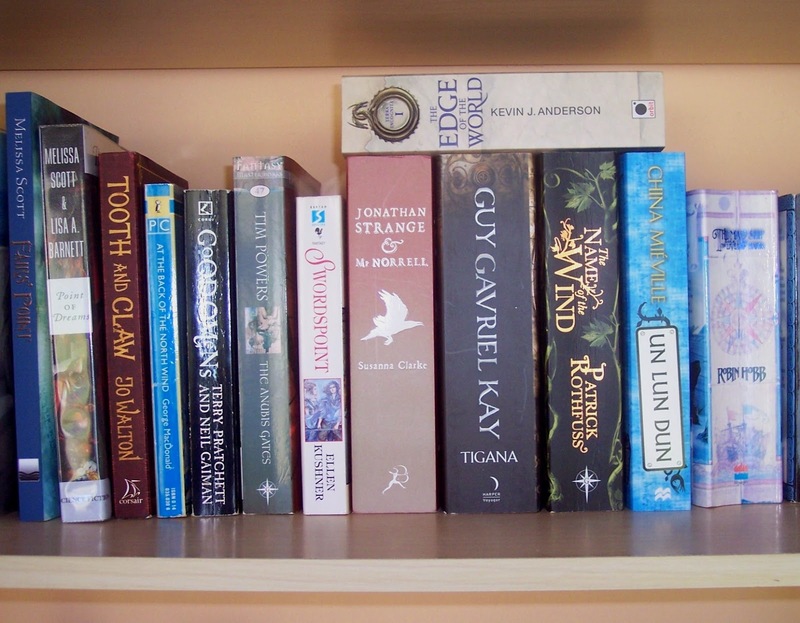 To help me keep track of what I read I've opened a new Goodreads shelf. Always useful to be able to see at a glance what you've read and and what choices are still available. Ok, so that's it. Looking forward to the next three months and to seeing what everyone else plans to read and does read. Have fun! I haven't read any psychological type crime yarns in quite some time as last year I concentrated mainly on Vintage Crime books. That was vastly enjoyable but I suddenly fancied something a bit more unsettling. This is the type of thing that I don't really like to watch on TV as it creeps me out too much but I have no problem with it in books. So anyway, the library supplied what I was looking for. First up was Sworn to Silence by Linda Castillo. This 'new to me' series was recommended by Kay at Kay's Reading Life and this is book one in the series. The Chief of Police at Painter's Mill, Ohio is Kate Burkholder. The town has a large Amish population and Kate herself was brought up Amish but left the religion/way of life in her teens. Thus, her relationship with her family and former Amish neighbours is almost non-existant. And life isn't that easy as a female chief of police either. Her fellow police officers have accepted her but dealing with town politics and politicians with personal agendas is never easy. A body is discovered in a snowy field by a police officer chasing straying cows. The young woman's body is severely mutilated and it's obvious she's been murdered. Sixteen years ago there were several identical murders, is the killer back? Kate has a terrifying secret in her past which makes her think this serial killer can't be. But might she be wrong? I must say a big 'thank you' to Kay for suggesting this series as this book was rivetting. A real pageturner. I really liked Kate and felt for her in her difficult situation. So much unfairness and injustice in her life and that made this book much more than just a crime yarn. The wintery, Ohio setting was superbly portrayed and I felt myself there in all the snowy bleakness. I will say that this book is not for the faint-hearted. If you don't care for gory descriptions (think Tess Gerritsen) and psychological type crime scenarios then this might not be for you. Personally, I couldn't put it down and have already put the next book on reserve at the library. 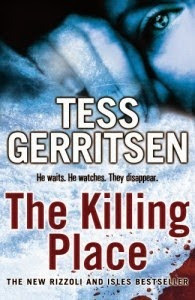 After that I fancied yet another psychological type thriller so I moved on to The Killing Place (or Ice Cold) by - funnily enough - Tess Gerritsen, book 8 in her long-running Rizzoli and Isles series. Maura Isles is off to Jackson Hole in Wyoming for a medical conference. Her personal life is complicated at the moment because of who she's heavily involved with. At the conference she comes across Doug Comley who was at medical college with her, although the two were not really friends. He has his 13 year old daughter at the conference with him, plus two friends, and at dinner one night he tells Maura that they're all going to head off to a lodge in the mountains when the conference ends. He eventually persuades Maura to go with them. Things start out well but deteriorate when the sat nav sends them up the wrong road on the mountain. The car ends up in a ditch and the four adults and a child are stranded. There's no mobile phone signal and they didn't tell anyone where they were going. (This strikes me as TSTL... Too Stupid To Live!) They start out walking and come across a small settlement in a snow filled valley. What is this place? Why does it appear like a Marie Celeste scenario where people have disappeared off the face of the earth in the middle of their meals? Something is not right here and Maura knows without a shadow of a doubt that they need to get out of here and back to civilisation as soon as possible. But how? Cracking good read this one. Tess Gerritsen never disappoints, her books always gallop along at breakneck speed, scaring you to death half the time but always hugely enjoyable. *If* you don't mind the fact that they are a bit gory. She doesn't spare the reader any details of autopsies and some of it does make you shudder a bit. Her main characters, Jane Rizzoli and Maura Isles are not blonde bimbo type women, they're intelligent, thoughtful, 'different'. Very different to each other too and I like that. The plot here seems simple but, typically, it turns out not to be. I thought I had it all worked out and of course that was nonsense. LOL! Good stuff. I won't leave it so long next time before I read more in this series. So sad to hear of the death of Sir Terry Pratchett today. 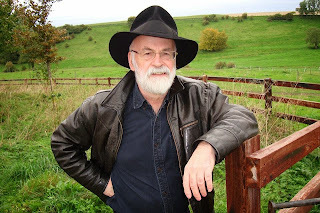 I came late to his books... over the last 15 years or so... but the minute I started reading them he became a favourite author and I've probably read more of his books than any other author. He was without a doubt a genius with words and will be sadly missed. My reading of Brian W Aldiss's Helliconia trilogy has taken place over the last 14 or 15 months. I read Helliconia Spring for Carl's Sci-Fi Experience in November 2013 and Helliconia Summer in July 2014. I intended to read Helliconia Winter for this year's Sci-Fi Experience but somehow just didn't get around to it. I had put it on my TBR shelf to read for the TBR challenge this year however, so it was going to be read sometime and now turned out to be that time. ... the most important thing to understand is the astromony of the system to which the planet of Helliconia belongs. It's one of several planets that revolve around the star, Batalix. All of these in turn revolve around a much bigger star, Freyr. Helliconia is a planet with two suns. What this means for this inhabited planet is that basically it has two years. One is around the same length as ours - slightly longer - and the other is over 1,800 years long. What prevails, climate-wise is the year that is 1,800 years long, which means that the seasons they get are each nearly 500 years in length. Each of the three books focuses on the changes that occur as one season becomes another. Specifically how it affects the human population and, to a lesser extent, other beings and animals on the planet. One character tends to take centre stage and in this autumn to winter instalment it's one, Luterin Shokerandit. Luterin has been born and brought up in the town of Kharnabar, which is in the far north of the northern continent of Sibornal. (Think northern Alaska.) His father is Keeper of the Wheel, an important relgious position on their world. Luterin expects to inherit the position but is shocked when his father sends him away to serve in the army. The young man ends up fighting in a campaign on the southern continent of Campannlac. The Sibornal army is successful and would expect their return home to be a cause for huge celebration. But this is not what happens. Luterin, another officer, Fashnalgid, and a slave woman, Toress Lahl, end up on the run. But winter is fast approaching and the ruling Oligarchy is publishing edicts that are increasingly draconian, inhibiting the freedom of the people, ostensibly in an attempt to help them through the five hundred year long winter. But is that really what they're doing? Of the three books I think this was probably the weakest. That's not to say it was bad in any way, shape or form, just not quite as strong. I enjoyed following the adventures and travels of Luterin and his band of misfits, particularly the various journeys... aboard ship, by sledge through the mountains to his home and so on. The characters are well drawn and, like real people, have many faults and foibles, behave both badly and honourably. I feel the author is better at writing men than women but there you go... that's often the case with male authors. What didn't work for me is that in this instalment the author took to philosophising in regard to what was happening to humans back on Earth over several thousand years and also on the spaceship that has been filming events on Helliconia. I don't mind some reflection on the human condition... why we're aggressive and why so much war, etc. But it became rambling and quite frankly 'weird' and didn't work for me as it should have done. Anyway, regardless of that this science fiction trilogy is very good. I like the gigantic scope of the work - everything is so well thought out and on such a massive scale that it's really quite astonishing. It's perhaps not 'alien' enough for my science fiction tastes but that's ok, there are plenty of other books that are and this one scores high on world building and astronomical data and ideas. 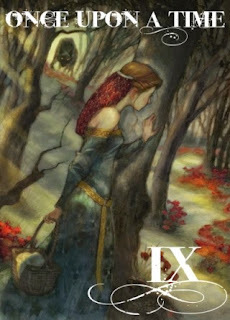 Rarely can you have it all... unless you read Robin Hobb, Anne McCaffrey, John Connolly... I'm sure others have their own opinions on authors who supply it all. Helliconia Winter is my book seven for Bev's 2015 Mount TBR challenge. I never seem to know what to read next. My husband just picks the next book on his library pile... I wish I could approach the choice in such a devil-may-care manner. What with library books, my own books on my tbr shelf (who am I kidding? 'shelves'), books on my Kindle, books on my Nook... and then there's fiction or non-fiction... what do I fancy starting today? It's horrendous and I agonise terribly over it, sometimes taking a couple of days to make the decision (though in those cases I generally have a long non-fiction I'm already reading so I'm not entirely without reading matter). A bit about 'this' book. 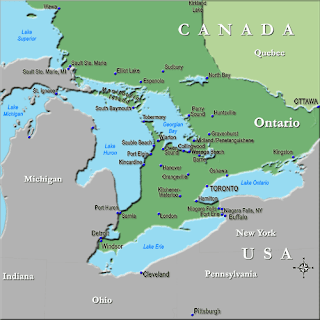 The small fictional settlement of Dove River is situated on Georgian Bay on the Canadian side of Lake Huron. In 1867 it's an isolated spot where the main law enforcement comes via The Hudson Bay Company, although by this time it is starting to lose power and influence. Fur trappers, made up of the native Indians and lone white hunters, often French, are fed up with the company's abuse of its power and are starting their own fur trading company. 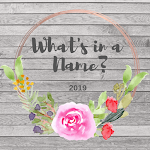 The Ross family, living in Dove River, consists of the husband, Angus, 'Mrs' Ross - whose first name we never learn - and their adopted teenage son, Francis. Francis is very friendly with a French trapper, Laurent Jammet, who lives close by. He's closer to Laurent by far than to his parents, relations between the boy and his parents are, in fact, rather strained. It's Mrs. Ross who finds Jammet's dead body in his shack and also realises that her son is missing. The village immediately suspects Francis of killing the Frenchman and running off but Mrs. Ross is convinced of her son's innocence. She sets off into the wilderness with William Parker, another trapper and stranger to her, to try to track her son down. She has a fear of 'wilderness' but faces that fear in order to save her son. This trip will be life-altering. Secrets will uncover themselves and she will discover an inner strength she never knew she had. OK, well that description is a bit sparse, I realise that. There are quite a few characters I've not mentioned - the company man, Donald Moody and his Indian side-kick, Jacob. The Knox family, husband, Andrew, is the town magistrate who has two very different daughters. A searcher called Sturrock who has an agenda of his own in coming to the settlement. A religious settlement far into the north, peopled by Norwegians, is quite fascinating. The novel is peopled by folk who are very human. They give in to temptations, they're sometimes mean-spirited, jealous, selfish, judgemental. But they also, like all of us, still try to do the right thing. Well, some of them do. The reason my description is sparse is because of the layers in this book... it's full of secrets, not just people's behaviour but mysteries. Two young girls disappeared in the wilderness fifteen years ago. What happened to them? What's the mysterious bone tablet that the world and his mother-in-law seem to be after, that belonged to Laurent Jammet, and where is it? To talk too much about the plot would be to give away too many spoilers and it really is better in my opinion to go into this book not knowing very much. (Map from Visit Georgian Bay.) I imagine it to be stunning, various photos online certainly support that. And one tiny little coincidence, one of my favourite songs is Christian Island by Gordon Lightfoot. Where is Christian Island? In Georgian Bay of course. 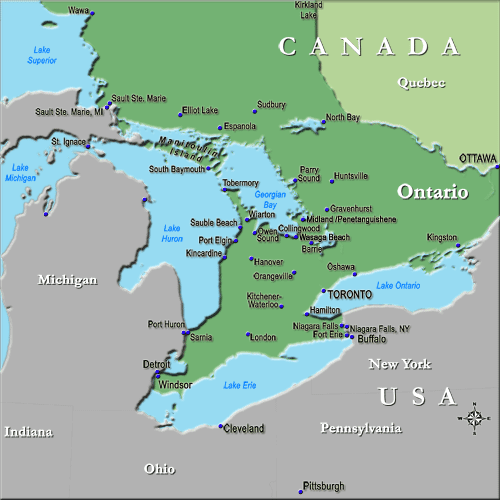 I also realise that twice in my life I haven't exactly been a million miles away from this area - firstly when we visited Niagara Falls in 1996 and secondly on a visit to The Bass Islands and Put in Bay on Lake Erie. 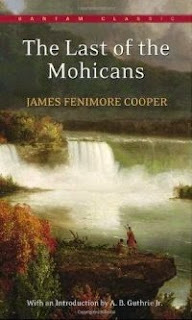 I'd like to read more about Canadian history and exploration so will have to look for something. I'm sure there must be books written about The Hudson Bay Company but am wondering if there are other books out there. Any recommendations would be welcome. The Tenderness of Wolves is my book six for Bev's Mount TBR 2015 challenge.